Accenture has shown its clear intent to buy a French-based cloud consulting firm, Cirruseo which is a leader in providing Google cloud solutions in France. All of this was made clear earlier this week when Google Cloud Next was opened in San Francisco. There itself, Accenture announced that they are indeed in negotiations with the French company. However, the terms of negotiations are yet to be shared publicly. Meanwhile, any acquisition requires consultation with the relevant work councils, who then give their opinion on the same. However, the acquisition is going to strengthen Accenture’s expertise in Google cloud not only in France but also across Europe. It will also help Accenture gain more clients which would include some of the best mobile app development companies and the best software companies considering its expertise would only improve with the addition of Cirruseo. Accenture said that Cirruseo’s expertise in Google’s cloud-based solutions which include the use of artificial intelligence would surely help the company as it is developing its own Artificial Intelligence tools. Let us have a look at the reasons why Accenture is going to boom in the following years with this acquisition. Accenture’s Unit Managing Director, Olivier Girard said that “The addition of Cirruseo would be a significant step forward in our growth strategy in France, bringing a strong team of Google cloud specialists to Accenture.” He also said that the combination of Cirruseo’s mastery at Google cloud technologies with Accenture’s expertise in Digital marketing, Artificial Intelligence and cyber-security will enhance their ability to deliver more end-to-end services to help our clients. Cirruseo’s CEO, Herve Romain said on being asked about the company joining Accenture that, the demand of Google Cloud services is on a boom. 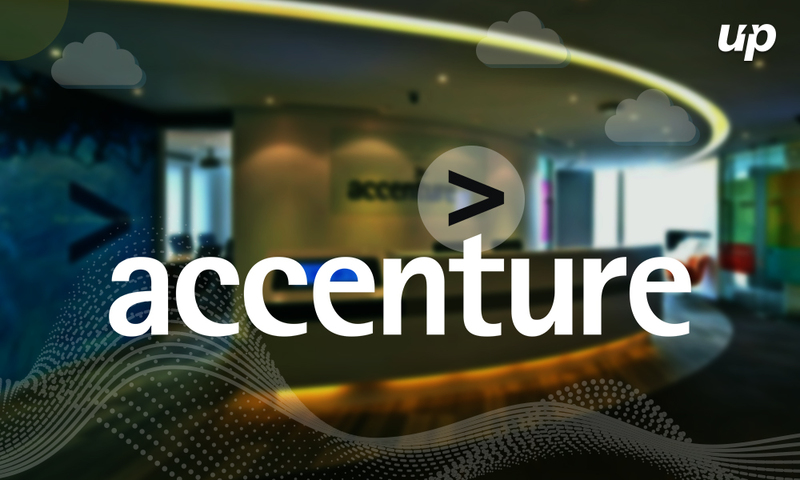 And Joining Accenture will help us solve the problems of more and more companies in providing unique cloud solutions. With Cirruseo having more than 100 highly skilled Google Cloud professionals and it being a Google Cloud partner and certified trainer for Google Cloud technologies, the company is surely going to help many more companies as they partner with Accenture, a leading technology company. Cirruseo since its commencement in 2011 has helped more than 600 clients with some of them being top companies in France. On the other hand, giant Accenture has more than 2600 Google cloud experts and has delivered more than 21,000 cloud solutions in various industries. Accenture is doing the right thing of picking the right partners for the right platform. Yes, the size of Cirruseo is way smaller, but their expertise has forced Accenture to acquire it. Whatever be the negotiation terms, it is indeed a welcome step for both companies and their clients. Fluper as a top mobile app development company is committed to bringing you the latest from the world of tech world! !